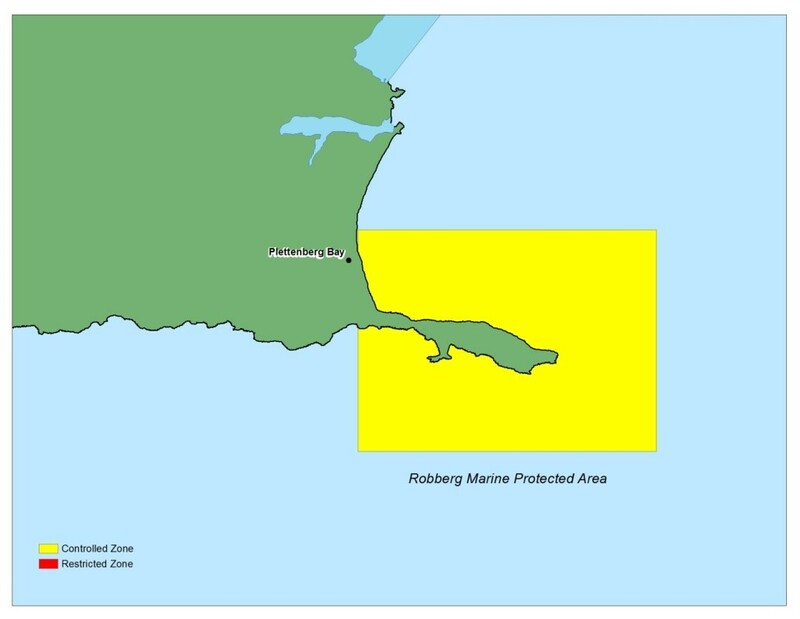 Robberg Marine Protected Area was established on 2 September 1998. The MPA contains a rocky coastline and two sandy beaches. It is approximately 9.5km long with 1 km of sandy shoreline and 8.5km of rocky outcrops. Robberg MPA has offshore reefs which provide important habitats for species that are popular among commercial fisheries – from red steenbras and black musselcracker. The MPA has offshore soft sediment areas close inshore between the offshore reefs. Although these areas are low in species diversity, they are important areas for east coast sole, silver kob and hake. The Robberg MPA is a breeding area for the rare African black oystercatcher and the white breasted cormorant, as well as a host of other seabird species.., . Globally threatened and CITES listed sea turtles, including loggerhead, green and hawksbill, have been observed in the area annually, while leatherback turtles are occasional visitors. There have also been many marine mammal species sighted and also stranded in the Robberg MPA, including various types of whales, dolphins and seals. There is also a Cape fur seal colony within the MPA.